Happened across this article about a severe infestation of bedbugs in a building in Thunder Bay http://www.cbc.ca/news/canada/thunder-bay/story/2013/09/11/tby-thunder-bay-bedbugs-infestation.html – fun times! Bed bugs have been coming up in a lot of ways this week – my kids are looking for a new apartment, too – and have been hearing which buildings in Oshawa have had problems, which deal with them when they show up, and which are less likely to. The joys of living near other people, eh? On the plus side, though, we did not see a huge increase in bed bug calls here in cottage country this summer. Last year, it seemed as though people were having company who were perhaps prone to bringing a few unwanted guests with them! This year, not so much. Still seeing them in some residential type places, but not cottages, at least. 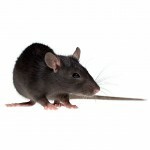 In any case, as always, if you are having any sort of pest problems, even bed bugs, do send us an email at ccpestcontrol@gmail.com, or give us a call at 707-534-7863 and Ross will be happy to solve your problem for you. We’re hear year round to provide you with environmentally responsible pest control services in Tiny, Tay, Simcoe, Muskoka, Severn … what am I missing? … oh well… you get the idea, right? Drat! Now I’m all itchy!! Hate it when that happens!